Depuis plus de 60 ans, les entreprises Péna, groupe industriel familial aquitain, ont su rester pionnières dans le domaine du recyclage de déchets comme dans leur approche environnementale. Chaque jour, c’est plus de 1.000 tonnes de déchets qui trouvent une seconde vie. Industriels ou ménagers, dangereux ou non dangereux, vos déchets sont collectés et traités pour réduire au maximum leur impact sur notre planète. Foundation of G. Pena Establishments. Foundation of "GILBERT PENA ESTABLISHMENTS" by Gilbert Pena, a business specializing in the recovery of metals and the refinement of bronze. In the 1980s, the company embarked upon a process of diversification into environmental operations, specifically involving the collection of non-hazardous wastes. Marc Pena, the son of Gilbert Pena, took over the reins of the family-run business, and renamed it as PENA METALS. At the same time, he established the company PENA ENVIRONMENT, specializing in the overall management of hazardous and non-hazardous wastes. Against this background, the same year marked the establishment of the Pena Group, specializing in the recycling of all materials. Establishment of a platform for the consolidation of hazardous wastes. The Pena Environment site at St Jean d'Illac began operating as a platform for the consolidation of hazardous wastes. 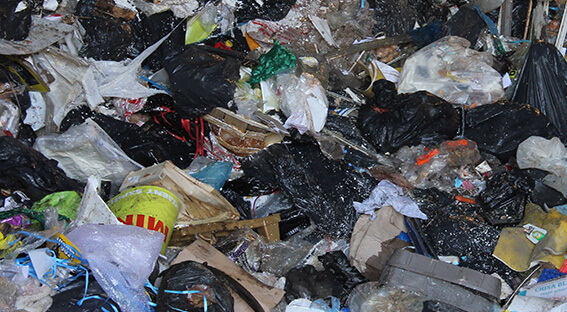 Collected, sorted and consolidated in accordance with a detailed type specification, hazardous wastes are then dispatched to recycling or disposal centres. The Saint Jean d'Illac platform specializes in the treatment plant slurry-based composting of green wastes. Establishment of the PRAXY network: a network of companies, bringing together service providers in the field of the overall management of wastes. Service providers are organized at national level, in order to respond to consultations throughout the national territory. Establishment of the AMENDOR design office, and initial sales of composting plants. Provision by AMENDOR to order-placers of waste processing technologies developed and applied by the Pena Group: Adonis - composting technology, CORIS - production of SRF, Solid Recovered Fuel, a substitute fuel, AROM - recycling of household wastes. Driven by the conviction that vast tonnages of non-hazardous wastes unnecessarily end up as landfill, Marc Pena opened the CORIS production line for Solid Recovered Fuel (SRF) on the Merignac site (33). A pioneer in this field, the company has developed partnerships with consumers of SRF. The company DECHETS SERVICES 12, located in Villefranche de Rouergue (Aveyron), joined the Pena Group. This company specializes in the collection of wastes, composting, the recycling of metals such as paper, card and metals, and the processing of hazardous wastes. It also delivers sanitation and drainage services. Acquisition of the company MAGNEN. Acquisition by the Pena Group of the company MAGNEN, located in the north of Gironde. This company specializes in the recovery of scrap metal, and also operates a corporate waste management facility. Patenting of a processing technology for household refuse. Filing of a patent for the "AROM" technology, involving a processing line for household refuse. Developed on the basis of a number of years of study, this technology initially permitted the recycling of over 80% of our household refuse. Today, this figure is as high as 85%. Establishment of the company IPES. Based at Kourou in Guyana, this company particularly specializes in the collection, sorting and processing of aerospace wastes. The company XEROS ENVIRONMENT, established in 2013, specializes in the recycling and processing of construction & public works materials. Establishment of the Pena Tunisia plant in Ben Arous, in response to market requirements in North Africa: management of hazardous and non-hazardous wastes, collection and consolidation of wastes, specializing in the recycling of metals.